(Bloomberg) -- With the European Commission poised to block a planned rail merger between Siemens AG and Alstom SA, the French government is calling for changes to the region’s antitrust laws. Officials from member-country antitrust regulators met on Thursday to vote on the deal, a key step toward a final commission veto as soon as Feb. 6. The EU’s top antitrust official, Johannes Laitenberger, declined to address political pressure surrounding the tie-up, telling reporters in Brussels, "We do our job and our job is to provide the decision makers with facts and with evidence." 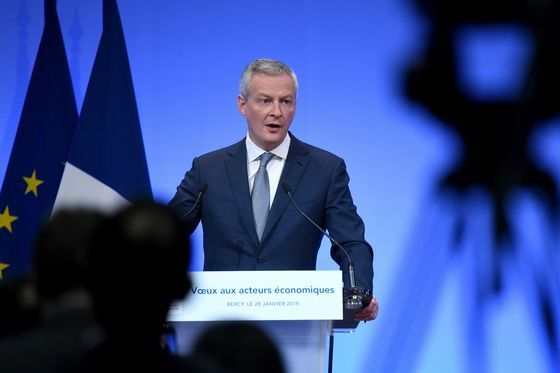 A blocking of the deal on concerns it would harm competition in Europe would be a blow to Le Maire, who has repeatedly criticized the EU’s reluctance to back the creation of a leading Franco-German train-equipment company. He’s now seeking to make antitrust laws a central topic in EU parliament elections in May, when mainstream parties that currently control the bloc’s institutions are expected to face a challenge from emboldened nationalist groups. Europe needs to show it can assert sovereignty, partly by building vast global companies capable of rivaling Chinese and U.S. competitors, the minister said. Le Maire didn’t elaborate on how the rules should be changed, noting that when Europe wrote its competition laws, Chinese train maker CRRC Corp. didn’t exist. Now, he said, CRRC makes 200 high speed trains a year, while Siemens and Alstom combined make only 35.